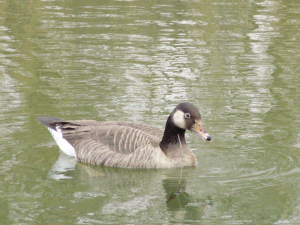 Observation - canada goose x greylag goose - UK and Ireland. Description: Single bird. The only goose in this part of the park. Never previously observed by me at this site. Single bird. The only goose in this part of the park. Never previously observed by me at this site.